Internet Man’s Web Hosting Services have continuously hosted web sites and email since 1995 when the Internet began. Longevity alone doesn’t make us one of the best hosting services on the Internet. It’s taking personal responsibility and paying attention to the details that makes our Internet services great. There are plenty of web hosting services (like Go Daddy, 1 and 1, etc.) that do a great job. But if you’re looking for something more personal that’s what we do. We watch over our clients’ sites, email, and servers personally. Over the past decade we have learned how to successfully host services for our clients! If you are a busy professional and don’t have the time and/or desire to grapple with complicated Internet problems our hosting service is perfect for you. Our clients don’t have to do research or wait in tech support phone queues because we handle the details for them. We make sure your site and email are working perfectly. We are very reasonably priced at just slightly more than bargain web hosting services. 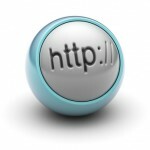 To sign up for Internet Man web hosting services, call us. We’ll move your site and setup your email. Just give us the word and it’s done! 1. Disk drives – we always use servers with mirrored hard drives. This way data is written to the disk twice essentially backing it up at the instant it is created. These are fully mirrored drives configured in Raid Zero. Should a drive fail you still have the other drive intact. 2. Power supplies – we always purchase servers with two power supplies. Should a power supply fail the server still functions. 3. Memory – most times when servers act weird it is due to a lack of memory. We always run more memory than is necessary. When you setup your servers with ample memory, applications don’t crash and the server runs smooth. 4. Disk Drive Capacity – we never like to run servers over half full. In our opinion half full is full. For this reason we determine how much drive space we will need and multiply it by four. It isn’t easy to add drive space to a functioning server. It is good insurance to get big drives from the outset. We always build our web servers from scratch. We buy the bare server from Dell. Then we install the operating. It is far easier to buy web servers with operating systems preinstalled. The reason we do it this way is because we want to be able to rebuild our infrastructure without help from anyone. You never know what can happen when hosting services. Our clients depend on our servers and we realize that. Should something happen, we need to have a next more. We cannot count on a support team being available. We count on ourselves. Web services is a matter of knowing your hardware. All Internet Man servers employ Dell Open Manage software. This gives us a view of the entire hardware configuration of every server. We keep them tuned up and running right. At the slightest indication of trouble we’ll swap the server out. By building our infrastructure without third party help we become independent. We also gain system administrator knowledge. The last thing you want as an Internet client is someone who passes the blame. You want someone who accepts responsibility when you call. You will not here about circumstances when you call us. We blame no one. If you’re not happy, for whatever reason, it’s our responsibility to fix things. That is why we build servers from scratch. When things come up, we handle it. Being at a major hub like this gives us redundant connections to the Internet. Our upstream provider has four major connections using the main players in the Internet business, like Level 3. Software and hardware failures can bring down any connection. As you add more providers you gain redundancy. If the datacenter experiences an attack for example, then can route traffic through another carrier. Our provider resides in an office building in the middle of Los Angeles that houses nothing but hosting companies. They have a black fiber network to the Internet hub on the west coast. Our connection is blazingly fast. Our sites rank in the top five percent for performance. You can actually feel the difference between Internet Man sites and shared hosting sites. Our first line of defense is our servers. 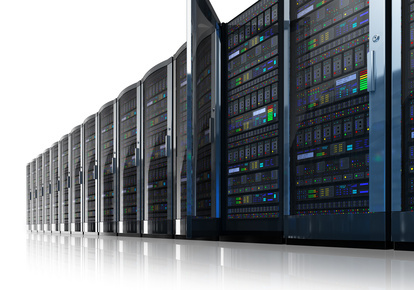 Every server is configured with mirrored drives in a Raid configuration. When data is written to the disk, it is written twice, to two separate drives. It makes a copy of the data immediately. This means that data is always backed up. It is built into our hardware. I have seen company databases running on computers with single drives. Should that single drive fail, you lose your database. This is why you should host critical databases with Internet Man. We would never leave you vulnerable like this. We learned a long time ago to host everything on servers with mirrored drives. It’s expensive, but worth it. Every night we back everything up. We keep a dedicated server, with huge drives, specifically to back up data. The server knows what files have changed during the day. Every night the backup server is synchronized to the production servers. This way we have an up to date copy of everything on our servers. A daily backup can still be vulnerable. For example if an employee you trust tampers with your database. If they mess it up on purpose, the messed up copy gets backed up. To account for that possibility we back up critical databases weekly. That way we have a clean version to go back to. The database may be a day or two old, but it is far better to have an older clean database versus a brand new corrupted version. Our backup policy of immediately, nightly, and weekly backup keeps your data in good shape. Internet Man’s designer/builder concept is unique in the industry. Most web designers put your site at low cost hosting facilities. They do it because they don’t want the responsibility. Should something happen to your site and/or email they merely have to give you the number of the low cost hosting company and they are out of it. Internet services are critical. Every web designer dreads those tough questions like email issues. The last thing they want to do is to leave the party to go to work. When you host email you are on call 24 hours a day and web designers don’t want to do it. Internet Man will have none of that. We have supported sites and email continuously – 24 hours a day – for over a decade. We do it because we know there is no higher authority. Dumping you into a support line is not how we do business. We take care of the problem so you don’t have to. Having your services work reliably is in our best interest too. We want you to be free to run your business. No matter what is wrong we will take care of it whether it’s our fault or not.